The current court challenge to the Wyoming and Idaho grizzly hunt is only the tip of the iceberg . . . 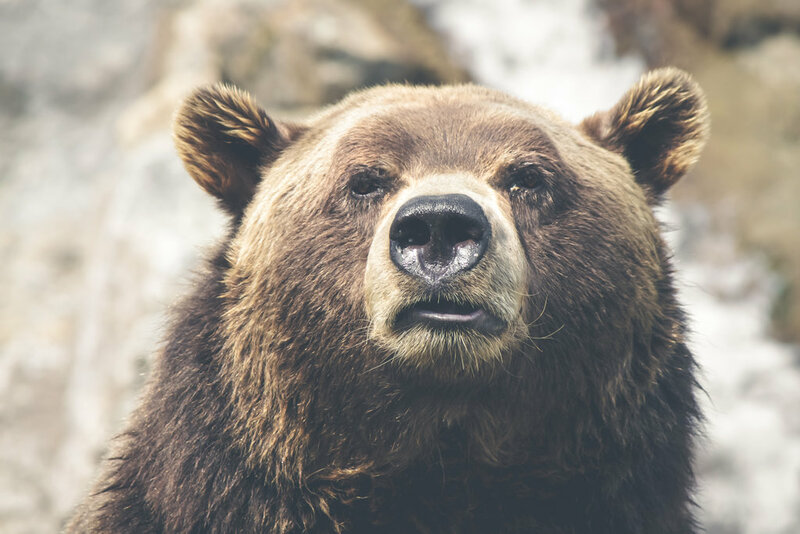 While most stories about last week’s grizzly bear court hearing trumpeted the last-minute suspension of trophy hunts in Wyoming and Idaho, the lawsuit had nothing to do with the legality of grizzly hunting. And while it did focus on whether grizzlies in the Greater Yellowstone Ecosystem still need federal protection, the eventual decision will affect a far larger landscape. That points up a conundrum of the Endangered Species Act: It’s one challenge to recover a species, but quite another to delist it. U.S. District Judge Dana Christensen didn’t render a decision from the bench on Thursday as many expected he might. But he did grant a 14-day restraining order blocking Wyoming and Idaho from starting their grizzly hunts on Saturday. 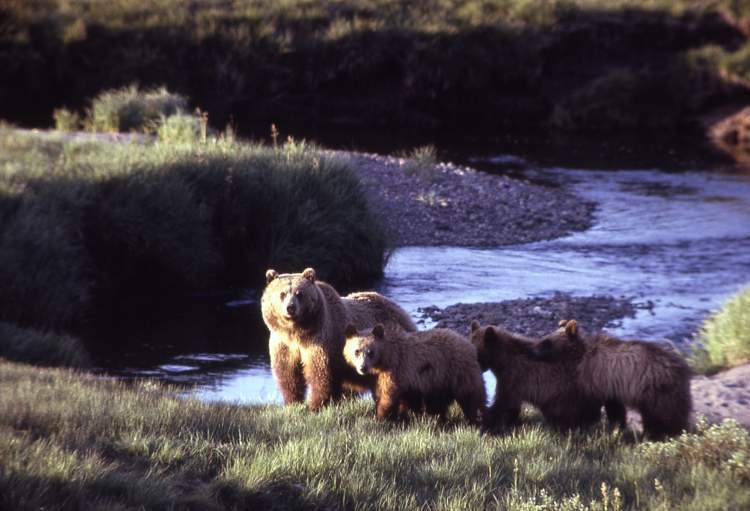 Now, here’s an interesting approach to combating Wyoming’s grizzly bear hunt. Talk about putting your money where your mouth is . . .
Jane Goodall is a global icon, perhaps the most admired living environmentalist and legendary for her research with chimpanzees. Cynthia Moss is famous for her conservation work in eastern Africa battling elephant poachers and speaking out against trophy hunting. Within the last few days, Goodall, 84, and Moss, 78, entered a lottery hoping to win a coveted hunting license in Wyoming allowing them to sport shoot a grizzly bear in the Yellowstone region. They have no aspirations to actually kill a bruin. Their maneuver is part of a mass act of civil disobedience to protest Wyoming’s controversial hunt of up to 22 grizzlies—the first in 44 years—slated to commence only weeks from now. Called “Shoot ‘em With A Camera, Not A Gun,” the impromptu campaign, spearheaded mainly by women, has caught hunting officials in Wyoming off guard. It has also created a groundswell among those who condemn the state’s recommencement of a trophy season on grizzlies just a year after they were removed from federal protection. In May, Wyoming’s wildlife commission approved the hunt unanimously 7-0. 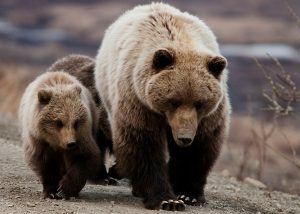 BC is banning trophy hunting of grizzlies. Interestingly, it’s not that too many bears are being killed, but because societal norms no longer favor this type of activity . . . 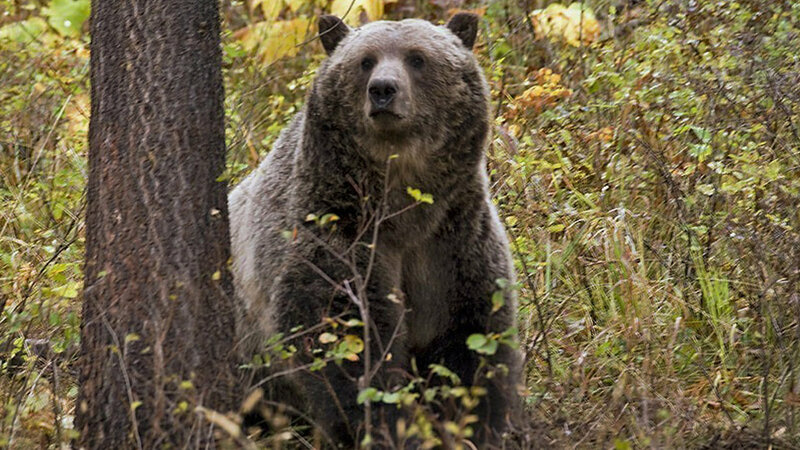 In a win for conservationists and environmental groups, British Columbia says it will no longer allow the trophy hunting of grizzly bears in the Canadian province starting on Nov. 30. The new policy blocks all hunting of grizzlies in the Great Bear Rainforest but still allows people to hunt them for food elsewhere in British Columbia. Native American tribes want Wyoming to transplant excess bears to reservations rather than hunting them. Kudos to Bill Fordyce for spotting this one . . .
Wyoming might consider Native American tribes’ request that grizzly bears in the Yellowstone ecosystem be transplanted to reservations rather than hunted, a top official said last week. Even though it has adopted framework regulations for grizzly hunting, Wyoming Game and Fish won’t dismiss the transplant idea, Wyoming’s Chief Game Warden Brian Nesvik said. His remarks followed a call by a tribal coalition that grizzlies be transplanted instead of hunted if managers seek to reduce their numbers in the ecosystem. Here’s a pretty good discussion of the issues grizzly bears could face in parts of Wyoming after delisting goes into effect. Kudos to Bill Fordyce for spotting this one . . .
Wyoming will “discourage” grizzly bears — likely by hunting — from thousands of square miles they currently occupy in the Yellowstone ecosystem, state officials said recently while describing pending plans. Grizzly bears can’t easily live without conflict in 3,236 square miles they now occupy on the fringes of the Yellowstone ecosystem, Wyoming wildlife authorities say, and the federal government agrees. 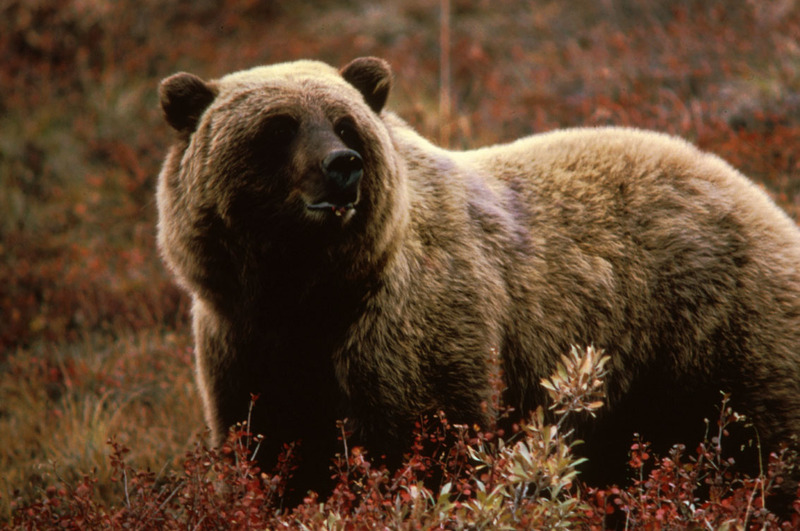 Consequently, grizzlies now living on some of the ecosystem edges won’t be counted in official censuses and will be moved off, killed or hunted, sometimes even before they conflict with human activities, pending state and federal plans say. Nevertheless, after the U.S. Fish and Wildlife Service removes the Yellowstone-area grizzly from the list of threatened species — a process that could be completed by the end of this year — the agency will continue to monitor grizzly populations in the core of the ecosystem. Area managers will strive for a population of 674 bears in the 19,270 square-mile central zone known as Demographic Monitoring Area. If that population is well distributed and fecund with breeding females, there’s enough habitat and regulations to make federal wildlife managers confident grizzlies will persist. 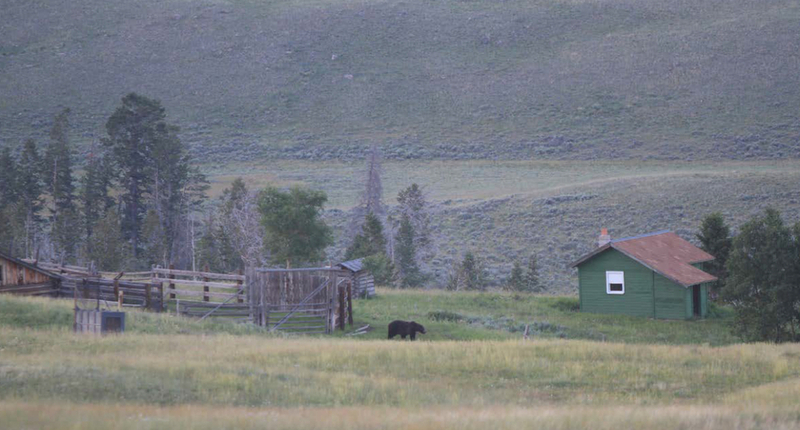 The New West: Democracy falters In delisting of Greater Yellowstone bears? Here’s a strong editorial by Todd Wilkinson, Environmental Columnist for Explore Big Sky, making the case for disallowing trophy hunting of grizzly bears, even after they are delisted . . . Nowhere in the legal framework of the federal Endangered Species Act does it mandate that animals removed from federal protection be subjected to trophy sport hunting. America spent millions of dollars reversing the downward spiral of bald eagles. Indeed, someone today could argue that the majestic white-crowned raptors would be fun to shoot and look stunningly beautiful as dead stuffed prizes of avian taxidermy. Yet when the great birds were finally declared biologically recovered in 2007, society didn’t celebrate by turning around and initiating sport seasons on eagles, selling licenses to generate revenue for the coffers of state wildlife agencies. Why not? Here’s a lengthy, rational discussion of the concerns many conservationists have about the looming removal of grizzly bears from the Endangered Species List. Kudos to Bill Fordyce for finding this one . . . The federal government’s imminent release of plans to let states manage Yellowstone-area grizzly bears — including by hunting — rekindles debate about whether gunning down grizzlies will undo years of conservation work. Federal officials are on the cusp of releasing and seeking public comment on draft rules and regulations that would remove Endangered Species Act protection from more than 717 Yellowstone–area grizzly bears. As officials propose the dramatic change, conservationists wonder whether hunters’ bullets might upend 40 years of advances. As mentioned here three weeks ago, the affected states are already divvying up hunting quotas in anticipation of grizzly bear delisting in the Yellowstone region. Brian Peck thinks this is a bad idea, stating his case in a sensible, non-confrontational op-ed in yesterday’s Daily Inter Lake. Left unaddressed is the topic of trophy hunting, a hot button issue for conservationists and many tribes . . . In recent weeks, area papers have run the article “States divvy up Yellowstone-area grizzly hunt,” noting that Wyoming will get 58 percent of the body count, Montana 34 percent, and Idaho 8 percent. With grizzlies still listed as “threatened,” and likely to remain so for years to come despite efforts by the U.S. Fish and Wildlife Service to prematurely delist them, it’s unseemly, irresponsible, and unnecessary for state wildlife agencies to begin dividing up the “killing fields” for this iconic species. 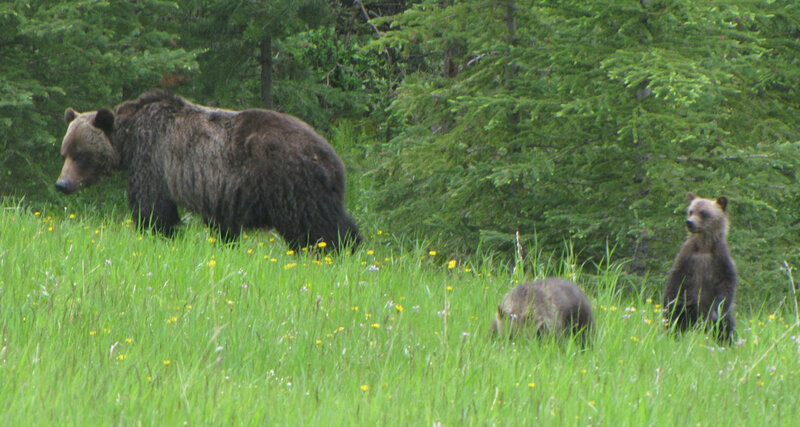 It’s important to remember that grizzlies are the slowest reproducing mammal in North America. As such, there is no biological “need” to ever hunt grizzlies for population control. In Yellowstone, it’s taken over 40 years for the population to increase from around 300 to last year’s estimate of 717. Not exactly a bear behind every tree. OK, but how are we going to deal with “problem bears?” First, it’s important to realize that virtually all “problem bears” are caused by “problem people” and their bad behavior — for example, leaving bird feeders out from April to October and baiting bears to their deaths. Or leaving pet food on the deck, leftover burgers on the barbecue, unsecured horse feed, or tasty chickens in flimsy enclosures. Clean up our behavior and clean up the problem. Second, a grizzly hunt is unlikely to target problem bears in people’s back yards or subdivisions because it’s too dangerous. And Fish, Wildlife and Parks can’t lead hunters to collared problem bears because it’s unethical and unsportsmanlike. Finally, we already have the solution in the state’s Bear Conflict Resolution Specialists, who do a fabulous job through homeowner education, aversive conditioning of food-conditioned bears, and removing those whose bad habitats can’t be broken. However, we need to adequately fund and staff this vital program. But don’t we need to hunt grizzlies to make them fear humans and avoid us? Nonsense. There’s no credible research to back up this claim. Properly conducted, ethical hunting of grizzlies doesn’t teach them to fear humans — it teaches them to be dead. And a dead bear tells no tales to his/her fellow grizzlies. It’s far more likely that grizzlies learn to fear/avoid humans by observing the thousands of big game hunters in the woods each fall. So, if grizzlies don’t “need” to be hunted, there’s already a solution to problem bears; and if hunting grizzlies doesn’t instill fear in them, why are the states so adamant about divvying up the killing fields and starting a hunt in Greater Yellowstone? State wildlife agencies get nearly all of their revenue from the sale of hunting, fishing, and trapping licenses and were set up to manage wildlife populations through regulated “harvest” (killing). It’s part of their cultural history and ingrained in their management DNA. Yet with grizzlies, and particularly the Greater Yellowstone bears, state wildlife agencies need to understand they’re playing in a whole new game where the old historic ways of doing business do not apply. States that insist on killing these iconic bears that millions of Americans associate with Yellowstone National Park itself, will quickly find themselves in a firestorm of public disapproval that will not only target them, but hunting itself. Time to think outside the box. Brian Peck, of Columbia Falls, is an independent wildlife consultant. You know grizzly bear delisting is getting serious when they start discussing who gets to shoot how many . . .
Wildlife officials have divvied up how many grizzly bears could be killed by hunters in the Yellowstone region of Wyoming, Montana and Idaho as the states seek control of a species shielded from hunting for the past 40 years, according to documents obtained by the Associated Press. The region’s grizzlies currently are under federal protection, but that could change in coming months, turning control over to the states. A draft agreement detailing the states’ plans for the animals was obtained by The Associated Press. The agreement puts no limits on grizzly bear hunting outside a 19,300-square mile management zone centered on Yellowstone National Park. Inside the zone, which includes wilderness and forest lands adjacent to the park, hunters in Wyoming would get a 58 percent share of the harvest, a reflection that it’s home to the bulk of the region’s bears. Montana would get 34 percent and Idaho 8 percent.